What Do The Top Shops Do That Makes Them Special? 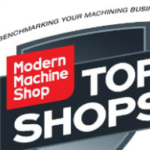 MMSOnline does a feature every year where they survey a bunch of machine shops for Best Practices and then declare the leaders to be “Top Shops.” There’s a lot to be learned from their data, but I find the voluminous tables of response statistics to be a painfully slow way to consume the information. Invariably I have to stick it all into a spreadsheet and re-crunch the numbers for myself to make any sense of it. Having recently done that for the 2012 Top Shops feature, I wanted to share the results. What I was looking for was significant differences between the Top Shops and the teaming masses. There’s a lot of data there, and just because two numbers differ doesn’t necessarily mean they matter. I wanted to see numbers that differed a lot or that were surprising in some other way. These are the areas that seem most likely to account for the Top Shops superior performance. Drilling down on them will likely reveal key investments shops need to make to improve their performance and competitiveness. This article is kind of an omnibus, since it touches on so many areas. Sorry about that, but the Top Shops build their competitive advantages in nearly every area you can think of. I’ve highlighted CNCCookbook articles along the way to help you learn more about how these different concepts work. So, without further ado, let’s dig in and see what the Top Shops do differently. – They are 63% more likely than average to be in the Oil & Gas industry. – 30% more likely to be manufacturing Industrial Components. – 22% less likely to be in Aerospace. Clearly margins are tough for Aerospace, Medical, and Appliance manufacturing. All those customers are larger and capable of tough negotiations. – 50% more likely to do contract work involving repeating manufacture of the same parts. – 33% less likely to be Job Shops that do low unit runs of many different parts. Clearly it is hard to make a good profit if you are constantly starting over with new parts and new customers. I got a chance to see firsthand a shop that had its own Waterjet, and let me tell you, it completely changed how that shop thinks about everything. Being able to integrate the waterjet into all their operations allows them many times to be able to load parts into their machining centers that only need a finish pass. That’s a huge advantage, so it isn’t surprising to see the big trend to integrating rough cutting with Waterjets and Lasers with the overall machining and manufacturing operation. 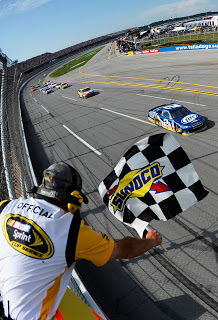 At some point it almost becomes a requirement to stay competitive. Likewise, the trend to Turn-milling is interesting, as is the trend to Honing. Also somewhat interesting is the greater likelihood of having a Horizontal Mill (much higher productivity than Vertical Mills on a lot of jobs) and in general, a trend towards having Turning Centers. – 39% more likely to do Lights-out Machining. I need to put pencil to paper, but my suspicion is that relatively little Lights Out added to your normal shifts can make a huge difference in overall profitability. – 34% more likely to do Five-axis machining with full contouring. Five-axis has a lot of advantages and can really differentiate a shop for certain kinds of work. – 26% more likely to employ High Speed Machining. The improvements in MRR and tool life just can’t be ignored on this one. We’re getting to be far enough down the adoption curve that shops not able to employ HSM toolpaths will be at an increasing disadvantage. 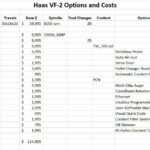 – 25% more likely to be Micromachining. This is a specialty niche, which always creates opportunities. The Feeds and Speeds behavior when micromachining changes radically. – 140% more likely to be using Minimum Quantity Lubricant. That means they’re using less to no coolant, possibly even using misting systems. 140% is an overwhelming trend. It’s not surprising. Coolant is expensive from a lot of different perspectives. It can even reduce tool life in some cases. Check out our article to learn more about Minimum Quantity Lubricant and Dry Machining. – 42% more likely to use a Coolant Management System. Well, if you can’t minimize coolant through MQL, it is interesting that the next best thing seems to be taking better care of your coolant. – 38% more likely to use Tool Presetting. This is the practice of setting tool lengths offline rather than on the machine. In cases where you’re manufacturing large numbers of parts, cycle time is everything, so why waste the machine’s time setting tool lengths? – 37% more likely to use some sort of software for Tool Inventory Management. While we think of cutters as consumables, they are valuable inventory until we’re done with them. In fact, as we will see below, they’re still valuable even when we are done with them as we regrind them and ultimately recycle their carbide. – 36% more likely to use On-machine probing to set up tool lengths. Knowing whether to focus on Tool Presetting or On-machine probing is important. Either one will save you time, but one can be better than the other depending on the nature of your work. See our article on whether to minimize Setup Time or Cycle Time to understand which one is best for you. – 31% more likely to recycle carbide and 20% more likely to regrind tools. See, I told you those tools were valuable inventory even after they are dulled. The Top Shops manage to extract value all the way to the end. Coolant and Tooling represent significant overhead, and the Top Shops work hard to minimize those costs. – 50% more likely to utilize Hydraulic or Pneumatic fixtures. Why rely on slow manual clamping when you can punch a button (or better build it into the g-code to fire a relay via m-code) and have a part clamped rapidly and repeatably? – 37% more likely to use Vacuum Chucks and Vacuum Clamping systems. This was a surprise to me as I hadn’t thought these systems were that common. But the Top Shops are finding all sorts of ways to benefit from them. For example, letting the machine cut a whole plate of parts (for those shops that lack a Waterjet or Laser cutter). Check our recent articles on vacuum clamping and a vacuum fixtures for more. – 33% are more likely to use Tombstones. This implies either Horizontal Mills or 4th Axis Indexing schemes. Either one offers a lot of advantages. – 31% more likely to use Quick-change devices in their workholding. – 26% more likely to use Pallet changers. Workholding is a strong area of innovation for the Top Shops–don’t ignore it for your shop. – Top shops are 45% more likely to use Job-estimating software. As we will see, these shops actually quote less often, so they don’t use the software to crank out more quotes. Instead, it ensures consistent quoting that can be dialed in to a shop’s best practices. This lets these shops make good quotes the first time around. 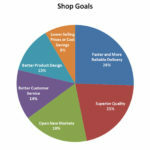 – Top shops are 42% more likely to use PLM software. This software helps manage the workflow around the entire lifecycle of product data including Bill of Materials, CAD, CAM, and all the rest. 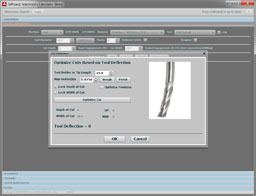 – 20% more likely to use Toolpath Simulation software, such as our G-Wizard G-Code Simulator. – A surprising result on the CAD front: Top Shops are 7% less likely to use 3D CAD and 32% more likely to use 2D CAD. Go figure! – 82% more likely to have Shop Floor CMM, but overall 7% less likely to have CMM at all. If they have it, they’re putting it on the Shop Floor, not in a clean room. – 49% more likely to have Portable Measuring Arms. I’m curious how they’re using these fascinating devices. – 47% more likely to use On-machine probes. This is a huge opportunity. Read our article on the RAMTIC manufacturing methodology for example. – 37% more likely to have Vision systems. I am wondering about the Vision systems and Microscopes. Are these all about inspecting the parts as they’re made? Or are they inspecting cutters to manage cutter wear more efficiently? Or both? Always hard to dig into the next level below a survey question. – Top Shops are 341% more likely to use MTConnect. This is a protocol that allows machines to communicate all sorts of information back to central sources. The overall percentage using the technology is pretty small–under 8%, but Top Shops are on the leading edge for this sort of thing. – 73% more likely to be doing Robotic Part Loading and Unloading. Big savings here versus human intervention. – 42% more likely to have machine Ethernet connectivity. If you’re still using USB keys and RS-232, the Top Shops have stolen a productivity march on you. – 41% more likely to do Ballbar Calibration. This is the best way to maximize your machine’s performance and make sure it stays up to snuff through regular recalibration. Costs are fairly low relative to benefits. – 36% more likely to be using Machine Mist Control. – 33% more likely to be using High Pressure Coolant. HPC, through spindle coolant, and programmable coolant nozzles all provide increased throughput. G-Wizard Calculator will automatically factor in TSC and PCN when calculating feeds and speeds. – 29% more likely to have in-house Heat Treating equipment. This is interesting, but makes sense in terms of being able to control end-to-end manufacturing. What’s it all worth and what’s it all cost? We now know a lot more about what Top Shops do differently than average shops. You must be wondering what they get out of it and what it costs them to do all these things, I know I was. – Profit Margins are 119% higher for the Top Shops. Whoa! This makes it all worthwhile. That’s a big number in terms of the bottom line. – Growth Rate is 66% higher. Not only are the Top Shops bringing more cash home, they are growing that cash much faster than the rest of the pack. – Quote-to-Book Ratios are 25% higher. Remember I said the Top Shops quote less? On average, their quotes are 25% more likely to lead to a sale than the average shop’s quotes. – Gross Sales are 18% higher. These shops are not that much larger than the average shop, they are just hugely more efficient at producing profits. Okay, those are the financial metrics. What do we see on the Shop Floor? – Spindle Utilization is up 16%. Machines are cheap, people are expensive. Keep that machines running more than the people and you make more money. – Average machine hours in production is 9% higher. So, Top Shops machines run 9% more during the day. This is how I came by my intuition that even a little bit of Lights Out can make a shop a lot more efficient. – On-time delivery rate is only about 3% better, and Setup time is exactly the same as the average shop. The Top Shops are not getting their advantage here. One area of huge advantage is that their scrap and rework rate is half the average shop’s rate. I am reminded to measure twice and cut once. These guys sure know that rule by heart. Well, on average, Top Shops spend 286% more than average shops on capital expenses. These are big ticket purchases. They also spend 26% more on Tooling, which is a much smaller difference, but still significant. Clearly the Top Shops are doing quite a lot of things differently. 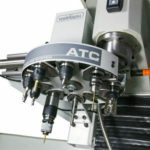 They are willing to invest to be closer to the cutting edge, they are more focused on eliminating waste of all kinds (scrap, rework, coolant, and tooling), they choose their industries carefully, they seek repeat business, they use the most efficient possible workholding strategies, they invest in CNC Software, and they believe in preventative maintenance. In exchange, they have handsomely higher profit margins and growth. I’ve called out a number of links throughout this article so you can drill down and learn more about some of machining’s best practices. As a next step, CNCCookbook maintains a Manufacturing Best Practices content focus that we call our CNC Manufacturing Cookbook. Check it out for more strategies that lead to CNC Manufacturing excellence. I found a shop that uses microscopes to set its tools and check for repeatebility. Measuring surface quality is also an optical process. Thanks Stoffel, optical toolsetting is a good possibility as is the analysis of surface finish. I read the MMS survey every year. Never did get this much insight on the numbers. Thanks Bob!! Thanks, Peter. I learned a lot about spreadsheets over the years having started out by building the Quattro Pro spreadsheet as my first startup. At school we use microscopes for Brinell hardness testing (you have to measure the size of the crater) and also for off-line toolsetting of a Swiss lathe. Speaking of vision systems… if the shop I work for had an optical comparator, MY time on the floor could be much better spent. Generally working ±.005″, but +.001/-.000″ is not uncommon either. At what is essentially a specialized job shop. Lots to be gained with a little investment. Takes money to make money!